Grammy Award winner and pop culture icon "Weird Al" Yankovic brings his trademark wit, wordplay, and silliness to a story that explores the timeless question "What do you want to be when you grow up?" Funny and charming, this is a celebration of creativity and possibility. An Amazon Best Book of the Month! "The farce and parody make this a rare book with appeal to both kids and adults" (Booklist). It's Show-and-Tell time in Mrs. Krupp's class, and Billy just can't wait for his turn! Today the class is discussing what they want to be when they grow up, and our exuberant eight-year-old hero is bursting to tell everyone about his future career plans. 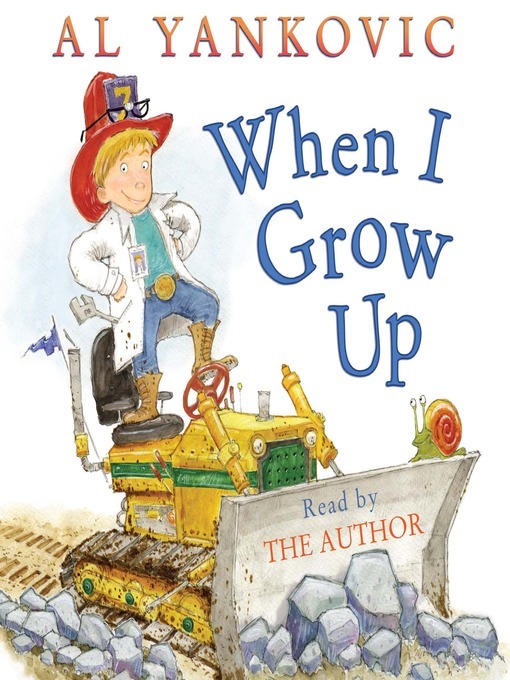 In dazzling wordplay and delicious rhymes, Billy regales his patient teacher and amazed classmates with tales of the variety of careers he wants to pursue—each more outlandish and wildly imaginative than the last!